Whether you’re buying a new car or having some work done on your current vehicle, we want you to know you’re in the best hands. So over the coming months we’ll be introducing you to the people behind David Dexters. In the first of our staff spotlights, we’re focusing on our service manager Richie Cooper, who many of you will have met if you’ve ever popped into the reception of our Bridgnorth headquarters. Richie joined us at the start of 2015, having impressed us when he’d visited as a representative for one of our suppliers. He didn’t need any specific qualifications to become our service manager, but his previous experience and focus on customer service were key factors in our decision to take him on – something we have never regretted! When Richie arrives each morning, his role involves co-ordinating the team for the day – so everyone knows what they’re doing and when. He’s also responsible for some of the ‘back office’ functions like dealing with emails and reports, but one of the main parts of his role is ensuring customer satisfaction. Whether it’s liaising with one of the team here or directly with you, he’ll do his best to ensure a good result for everyone. And if that doesn’t keep him busy enough, he’s also doing a business management and leadership degree through the Open University. Richie has completed 300 credits out of the 360 needed so he’ll be graduating by the end of this year. He says: “It’s all about keeping customers happy. The best thing is working with the team and making sure everyone’s enjoying their work, while keeping it professional at the same time. “Motivating the staff is a key thing for me. I also enjoy helping out in the sales department. I love selling cars although it’s not the main part of my role. 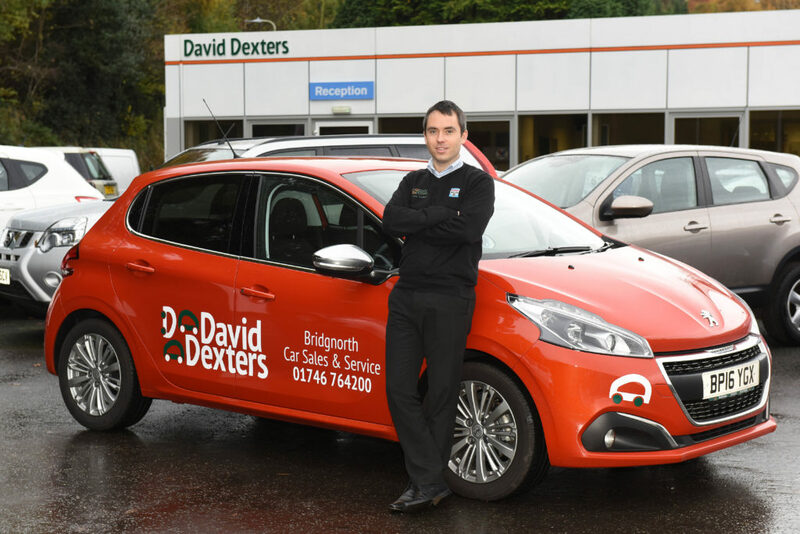 Keep an eye out on our blog in the next few months to find out more about our valued staff members at David Dexters.